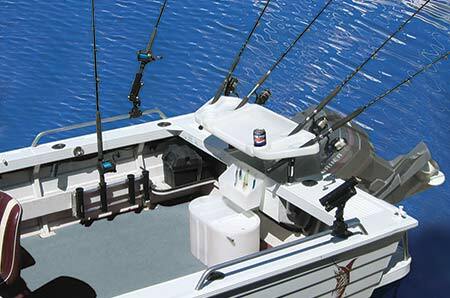 Sant Marine has been developing and refining innovative products for the Australian recreational fishing and boating market for over 20 years. Our "Fishing Essentials" range comprises a comprehensive array of accessories for the recreational boat fisherman. Our products are built from durable UV stabilised polyethylene, aluminium and stainless steel. Our unique fixing systems enable our products to be easily fitted to boats either by the professional boat builder, the dealer or the handyman.